A new collaborative study by researchers from two Boston healthcare systems has unlocked findings about adverse risks to patients when hospitals go through mergers, acquisitions, and other organizational changes that are intended to improve the safety and quality of care. The study, “The Risks to Patient Safety From Health System Expansions,” is a collaborative effort from Susan Haas, MD, Atul Gawande, MD, and Mark E. Reynolds, affiliated with Ariadne Labs at Brigham and Women’s Hospital and the Harvard T.H. Chan School of Public Health, as well as the CRICO/Risk Management Foundation, all located in Boston. The United States healthcare system is undergoing many transformative changes, among them the trend for smaller hospitals (usually located in rural areas) to be taken over by bigger hospitals that are part of larger healthcare systems; The Cleveland Clinic is another example. Mergers in healthcare have been increasing: 31 deals were announced in the first quarter of 2018, compared with 30 during the same period in 2017 and 25 in 2016’s first quarter, according to published reports. Experts say healthcare mergers often make sense for many reasons. For one, the smaller hospitals gain the ability to attract customers by leveraging the brand visibility of a well-known health system. They also benefit from the infrastructure improvements that come from the deeper pockets of larger systems, from better equipment to recruiting better-trained physicians. In addition, because the hospitals can provide quality care closer to home, patients no longer have to travel long distances to get the treatment they need. However, the study found many risks that can come with mergers and acquisitions—and hospitals considering mergers should think about these factors when doing their due diligence. The study’s authors found that after system expansions, healthcare institutions may experience significant changes in patient populations, including increases in general volume and in patients with demographic characteristics or conditions that a given facility might not have previously served. As a result, patient population changes can lead to unit-level adjustments such as training support staff. However, staff who interact with these patients elsewhere in the hospital may also need new knowledge, skills, practice patterns, and support, such as having the ability to recognize and promptly treat withdrawal symptoms in the case of substance abuse treatment. Further, the study found that these changes are often not anticipated. An increase in referrals may bring an influx of non-English-speaking patients, for instance; this will require more interpreters, institutional relationships with different community services, and increased awareness of the economic and social challenges these patients face in following care guidelines. Baumgarten downplays these issues to a degree. “I don’t disagree that mergers produce some risk, but the risks identified are not different than bringing on new staff, which hospitals are doing all the time,” he notes. He points to Florida’s Broward County as an example, where the Cleveland Clinic is taking over two community hospitals to form a “hub and spoke” model that will feed patients into major hospitals. Often, healthcare mergers result in a larger hospital offering financial incentives to a smaller hospital, including upgrades to supplies and equipment, protocols, and IT such as electronic patient records and security systems. The downside, the study found, is that changes in infrastructure often create challenges for clinicians. Without planning, such changes can cause significant patient risk. Even with training, the authors noted, a learning curve can make routine tasks more time-consuming or prone to error. Consider, for instance, finding the correct form in an electronic health record for ordering a test, identifying the correct substitute medication and dose from a new formulary, or transferring a patient. The attention clinicians must now give to tasks that were previously “automatic” also distracts from other aspects of patient care. Unless schedules and capacity, as well as training, are adjusted, such shifts in time and focus may result not only in dissatisfied patients, but also in increased likelihood of major errors, the study found. On the other hand, says Baumgarten, investments in infrastructure to accommodate new technology and equipment often come with highly trained professionals that know how to use the new tech. Consider the IT experts who may be accessible along with a new computer records system, or easier (and safer) transfers and handoffs as a result of tapping the experience of veteran staff from a busier hospital. Another major risk factor that mergers place on hospitals involves transitioning staff such as physicians and specialists. Proponents of mergers say that by combining forces, hospitals can attract higher-qualified doctors who can provide more office hours and availability for patients, as well as supply consultants for smaller facilities that need the know-how of longer-tenured experts. 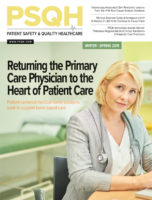 The study found that out of 82 healthcare institutions that have undergone expansions, 87% required physicians to travel to new practice sites, the most common being specialists such as cardiologists, surgeons, oncologists, and obstetricians. In many cases, healthcare systems offer attractive incentive packages to sweeten the pot for physicians, including travel and relocation costs, housing deals, and jobs for their spouses. But when clinicians travel, they often receive little systematic orientation to their new setting, leaving them to grapple with infrastructure, processes, teams, and a clinical culture that can vary from their home institution in significant and unexpected ways. In some instances, the study found, some physicians adapted to these new circumstances through trial and error, which can put patients at risk. Imagine being a new physician at a hospital and having to guess which kinds of care can be provided in a given setting, or trying to understand an unfamiliar crash cart, electronic health record, or phone number list in the middle of an emergency. The study found that some physicians, while they knew the right care to provide to patients, commonly encountered situations in which they did not know how to deliver the care—and, especially, how to do it quickly. To help providers better prepare to talk about safety when navigating a merger, the Harvard team built a free toolkit. It includes guides that healthcare organizations can use when holding crucial conversations during a merger. In addition to addressing high-priority issues such as internal culture and infrastructure, the toolkit offers specialty-specific guides for obstetrics, emergency care, and surgical care. It also offers guiding principles for more effective clinical integration and highlights some key steps that providers might not otherwise consider when planning a merger, such as conducting first meetings between major players off-site. Check out the report and toolkit via JAMA.